Today we’re going to talk about how should you hard reset your Dell Venue Pro and most importantly, why. 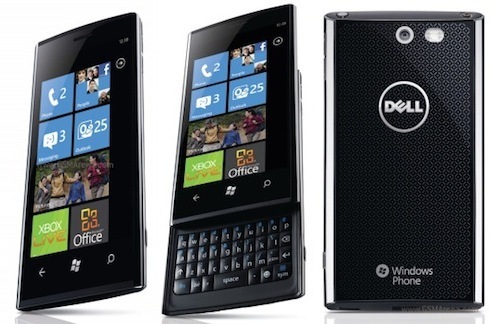 Released in November 2010 by Dell, it belongs to the Windows Phones category, having a Windows Phone 7 as the OS. The device comes with an AMOLED display of 4.1 inches, protected by Corning Gorilla Glass. Regarding the memory, the device comes with an internal capacity varying between 8 and 16GB and a microSD up to 32GB, but which is not user accessible. The phone is fitted with an 1GHz Scorpio CPU, an Adreno 200 GPU, a Qualcomm QSD8250 Snapdragon, and a QWERTY keyboard. Unfortunately, the Java application is missing, but it makes up by the 5MP camera, equipped with LED flash, Geo-tagging and autofocus. The Li-Ion 1400 mAh battery gives you an autonomy which runs from up to 400h in stand-by, to up to 7h talking. Why should you hard reset your Venue Pro? Because it has slown down its function, it has been virused or, simply because you want to erase everything from the phone. Be warned, any hard reset procedure wipes the terminal clean off and deletes any bytes of data from the internal memory. If you have something stored on the SD card it will not be affected, unless you specifically request so. Press the Start button and go to Applications. From the Applications menu, choose Settings. Press the Reset Your Phone button. Press and hold the Power, Volume Down and Camera buttons until the phone vibrates. When this happens, release the Power button but keep pressing the other two. Shortly after a warning message asking if you really want to format the device will appear. At this stage, it’s also safe to release the Volume Down and Camera buttons. Now tap on the Windows key to confirm that you want to format the Venue. Tap the same key again for another confirmation and the procedure should start. Now, this was the official and easy way of returning the Venue Pro to factory settings. When the phone is unresponsive or bricked, there should be a way of booting the operating system into safe mode and restoring the firmware from there. Unfortunately, such ways were not implemented and the only thing left to do in one of these cases is to install a fresh new ROM. While the steps of that procedure are out of our scope, you can follow this guide. You can also try the official Dell Venue Pro support page. How come the phone itself runs on Windows Phone 7, but in the video, it runs on Android… I’m really confused right now. We’re sorry about the mix-up. We’ve updated the video with a relative one and even though it’s not actually a Dell Venue Pro filmed, the hard reset steps are exactly the same. i tried all those steps and none worked…..
Why cant someone just make a video doing the hard reset on the dell venue pro phone? I’ve locked myself out for over 6 months now. Hi Justice, I actually put the solution in this site but it was removed, I think the program that I used is not “legal”. Basically search for a program to back-up your data but has the option to reset. I was locked 1 and a half years, I dont use it anymore but it felt good unlocking it. hello, I got to the point “when the computer and usb cable appears in the screen”. now what? please tell me. I got storage card error. it told me to remove the card or replace with a new one. It was so long ago that I don’t remember, you had to download a console program that reset the phone, you could download it through Xda Devleopers forum, after that put the phone in the mode where the computer and usb cable appears and run the program and that should do it I believe. This is great, but what if you have locked the phone & can’t remember the 4 digit code? The T-Mobile rep said I could find out how to wipe the phone on the web, but so far, no joy! We’ve updated the post with a second method that should work for your case. Check it out and see if it works. If it doesn’t, the last link on the page redirects you to Dell’s official support page, where you can contact someone with rights and knowledge to do more.